Gabor C. Temes received his undergraduate education at the Technical University and Eotvos University in Budapest, Hungary, from 1948 to 1956, and his Ph.D. in electrical engineering from University of Ottawa, Canada in 1961. He received an honorary doctorate from the Technical University of Budapest in 1991. He held academic positions at the Technical University of Budapest, at Stanford University and at UCLA, and worked in industry at Northern Electric R&D Laboratories (now Bell-Northern Research), as well as at Ampex Corp. He is now a professor in the School of Electrical Engineering and Computer Science at Oregon State University. He has served as department head at both UCLA and OSU. 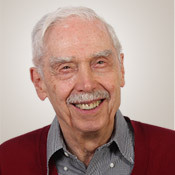 Temes is co-editor and co-author of Modern Filter Theory and Design (Wiley, 1973); co-author of Introduction to Circuit Synthesis and Design (McGraw-Hill, 1977); co-author of Analog MOS Integrated Circuits for Signal Processing (Wiley, 1986); co-editor and co-author of Oversampling Delta-Sigma Data Converters (IEEE Press, 1997); co-author of Understanding Delta-Sigma Data Converters (Wiley/IEEE Press, 2005), as well as a contributor to several other edited volumes. He has published approximately 300 papers in engineering journals and conference proceedings. Temes was elected to the National Academy of Engineering in 2015. A Life Fellow of the IEEE, Temes served as associate editor of the Journal of the Franklin Institute, editor of the IEEE Transactions on Circuit Theory, and vice president of the IEEE Circuits and Systems Society (CAS). In 1968 and 1981, he was co-winner of the CAS Darlington Award, and in 1984 winner of the Centennial Medal of the IEEE. He received the Andrew Chi Prize Award of the IEEE Instrumentation and Measurement Society in 1985, the Education Award of the IEEE Circuits and Systems Society in 1987, the Technical Achievement Award in 1998, the IEEE Millennium Medal, and the IEEE CAS Golden Jubilee Medal in 2000. Temes was also the recipient of the IEEE Gustav R. Kirchhoff Award in 2006, the IEEE CAS Mac Van Valkenburg Award in May 2009, and the OSU College of Engineering Research Award in 2010. Temes' recent research has dealt with CMOS analog integrated circuits, as well as data converters and integrated sensor interfaces. Communications, instrumentation, consumer electronics, etc. are all increasingly relying on digital signal processing (DSP) to carry out complex and time-consuming tasks. However, unavoidably, the input and output signals to all such systems had to remain analog, since signals encountered in nature are analog. Hence, interfaces are needed between the DSP core and the input/output terminals of all such systems, to process analog signals and to convert analog and digital signals into each other. With DSP technology exponentially improving in terms of speed, complexity and accuracy, the state of interface electronics has been left behind. Temes’s research area, shared with his graduate students, encompasses many areas of interface electronics, including analog-to-digital and digital-to-analog converters, switched-capacitor filters and amplifiers, and sensor interfaces. They are also heavily involved in the use of adaptive DSP methods within the interface itself, to achieve very high accuracy which is otherwise not practical in analog circuits.